The AKP has submitted a proposal to parliament to open a parliamentary investigation into the murder of Hrant Dink. Prosecutors involved in the Cage Action Plan, part of the larger Ergenekon investigation, have said that the Dink investigation is going nowhere and does not include all of the suspects involved. The Dink case emerged once more into the public conscience earlier this month when former Intelligence Unit Chief Sabri Uzun testified in the case of journalist Nedim Sener, who stands accused of " "identifying officials on anti-terrorist duties as targets." Uzun's testimony verified that intellgence officers involved in the case hid vital information about the murder before it happened and falsified reports. For more on Uzun's testimony in the context of the Sener case, see Bianet's report. In other Dink-related news, the 2nd Magistrate Criminal Court in Trabzon still refuses to merge the case of eight intelligence officers charged with negligence with the case currenty underway in Istanbul. For more on the Dink case, see past posts. 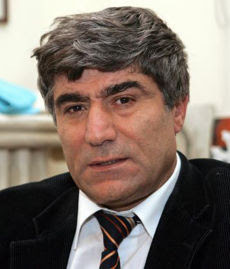 The lawyers of the family of murdered Turkish-Armenian journalist Hrant Dink filed a criminal complaint against Istanbul Deputy Governor Mustafa Güran because he refused to hand them a copy of attachments of the report regarding the murder. 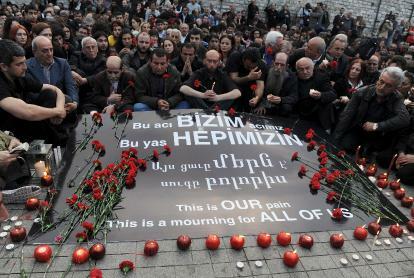 Dink, then editor-in-chief of the Armenian Agos newspaper, was shot in front of his office in Istanbul on 19 January 2007. Joint attorney Fethiye Çetin said that they applied to the Istanbul Public Chief Prosecution for an investigation related to allegations of "misconduct in office," requesting a trial eventually be launched. The coming hearing in the murder case will be held on 10 May. On the same day, the "Friends of Hrant" will come together once more at the Beşiktaş Pier in Istanbul to call for justice. UPDATE II (5/11) -- The tenth hearing of the Hrant Dink trial that took place yesterday included testimony from a secret witness who confirmed that Ogun Samast did not act alone, but was accompanied by Yasin and Osman Hayal. For the story from Today's Zaman, click here. UPDATE III (5/17) -- The Istanbul Public Prosecutor's Office has rejected Dink lawyer Fethiye Cetin's application for a special prosecutor to look into what Dink's attorneys assert was an unquestionably wide-reaching and organized assassination operation. USCIRF Again Designates Turkey a "Country of Particular Concern"
Turkey remains on the watch list this year also. It was designated for close monitoring for the first time in 2009. The fact that very little has changed in terms of restrictions imposed on people has resulted in it retaining its status as a violator country in the view of the USCIRF. In addition to these 13 countries, designated the worst violators of religious freedoms around the world, the 2010 watch list includes Afghanistan, Belarus, Cuba, Egypt, India, Indonesia, Laos, Russia, Somalia, Tajikistan and Venezuela as well as Turkey with respect to “the nature and extent of violations of religious freedom engaged in or tolerated by the governments.” The panel’s report also criticized the current and former US administrations for doing little to make basic religious rights universal. The commission was founded in 1998 by an act of Congress and has investigated conditions in what it calls “hot spots” where religious freedom is endangered. Much of the USCIRF report will echo the U.S. Department of State's country report on international religious freedom in Turkey. The latest episode in the ongoing drama of Israeli-Turkish relations could be a partial arms embargo, according to Turkish media, quoting Jane's Defence Weekly. Now, say reports, SIBAT -- the body that handles foreign defense assistance and export procurement and contracts for Israel's defense ministry -- will review Turkish requests for buying defense systems case by case; Turkey has expressed interest in a number of systems, including guided anti-tank weapons and heavy infantry fighting vehicles, as well as electronic-warfare systems. This further weakens the practical part of the alliance's strategic component, which already took a number of blows when Turkey dis-invited Israel from the joint military exercise Anatolian Eagle last year and also refused to allow the Israeli air force to deploy fighter jets in Turkey or use its airspace. Now, the press reports, Israel is looking for new long-range training options. But they're still working to save the other aspects of bilateral relations. In the eighth Israel-Turkey Bilateral Economic Dialogue on Thursday, both sides expressed their strong support to further enhance bilateral trade and economic relations and called the business communities to "engage in active cooperation." Meanwhile, many Israelis don't quite know what to make of the up-one-day, down-the-next ties with Turkey. Outraged over repeatedly harsh words for Israel from Turkish Prime Minister Tayyip Erdogan, many decided to boycott Turkey -- a tough principle to stick to, as Turkish clubs and resorts are a favorite for a close, affordable indulgence. Last month, Turkey launched a $2-million campaign to bring Israeli tourists back. Many did. But some workplaces didn't want to buy packages for Passover vacations. How would it look if we sold our patriotism for $99, they asked. And Anastassia Tal has her own embargo. The 16-year-old model from Israel turned down a job offer from a Turkish jewelry company, saying (in Hebrew) that under no circumstances would she "be the 'face' of a Turkish company so long as their prime minister lashes out at Israel and its leaders in such a unilateral, humiliating manner." Tal said she was a proud Israeli and that money wasn't everything. For the Today's Zaman story quoting Jane's Defence weekly, click here. In other Israel news, Foreign Minister Ahmet Davutoglu once more brought the issue of Israeli nuclear weapons to the table in an address to foreign ministers of NATO countries on Thursday. Davutoglu argues that NATO should consider disarmament alongside nuclear deterrence. More PKK violence, this time in Semdinli province in the far eastern province of Hakkari, has left two Turkish soldiers dead and another two critically wounded. Hurriyet Daily News reports that the military has started a large-scale operation in the area. Article 216 of the Penal Code, covering ‘inciting hatred’, must be more clearly formulated as to include racism and anti-Semitism. It must be rigorously implemented. But in order to avoid, court rulings, the media outlets must set a filter mechanism inside newsrooms. Columns that contain hate speech must be prevented from going to print or edited out. Each media outlet must internally ‘educate’ its reporters and editors on the subject. And, both ombudsmen and the press councils must pay attention to violations. Lastly, civil society must display vigilance and monitor the media on a daily basis and publicly complain or file for indictment. The study, which made public the results of the foundation’s study of the Turkish national press, looked into 24 newspapers with high levels of circulation, leaving aside their supplements. The most targeted groups were Turkish citizens of Kurdish and Armenian origin. 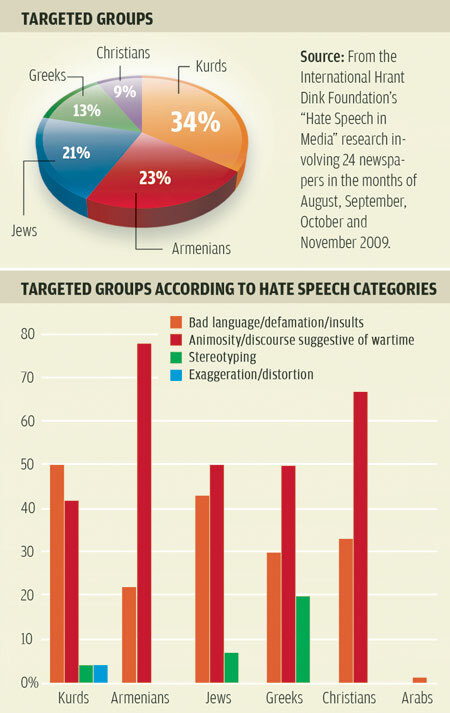 Greeks, Christians in general and Jews were also often the subjects of news stories or columns that contained hate speech. The study considered bad language/defamation/insult; animosity/wartime discourse; exaggeration/ascribing/distortion; and stereotyping while examining the articles. Three quarters of the hate speech identified by the researchers was found in columns; the rest was in news articles. The study examined newspapers published in August, September, October and November of last year. While hate speech found its way easily to the pages of the H.O. Tercüman, Ortadoğu, Vakit, Yeniçağ, Sözcü and Türkiye dailies -- considered nationalist and conservative, and somewhat marginalized with their limited circulation -- it was also in the mainstream Hürriyet and Star dailies, although less so in the latter. For more on the conference, see this Bianet report. For Baydar's op/ed on the subject in Today's Zaman, wherein the columnist also points a strong accusative finger at Hurriyet and the Dogan Media Group, click here. For more on the lawsuit filed by the Diyarbakir Bar Association against Yilmaz Ozdil, see this Bianet report. Further, it should be noted that Article 216 has been used against minority groups before. While a new law may well be needed, I am skeptical as to just how it would work and who all might be using it. For more on this point, see Jan. 24 post. Hate speech legislation is rarely easy, even with a well-functioning judiciary. Human Rights Watch on Wednesday accused Turkey's security forces of excessive violence and making routine use of lethal force, urging Ankara to take tougher action against abuses. The global watchdog warned in a statement that violent police conduct in a string of recent cases "should serve as a wake-up call for the government about the urgent need to do more to combat these abusive practices." Highlighting three incidents since March, HRW said security forces shot and seriously wounded a reportedly unarmed man in western Turkey, beat a child in the Southeast and shot and killed a child near the Iranian border in an operation against traffickers. The fact that policemen involved in two of the incidents were suspended from duty "is an important first step," HRW's Turkey researcher Emma Sinclair-Webb said. "The key test is whether the investigation will result in those responsible being held to account," she said. The government should "make clear that lethal force should be an absolute last resort to protect life, and not a routine means to catch a suspect," she said. Turkey has come under mounting criticism in recent years over heavy-handed action by its security forces, after a notable decrease in complaints in the early 2000s. Turkey began European Union membership talks in 2005 after a series of reforms that bettered its human rights record, including a marked decline in cases of abuse and torture by law enforcement officers. But rights campaigners have decried a renewed rise in such cases since legal amendments in 2007, which, they say, gave police broad discretion to use force and encouraged arbitrary stops and searches. For more on the 2007 amendments and police violence as a systemic problem, see Human Rights Watch's 2008 report and my Dec. 9, 2008 post. 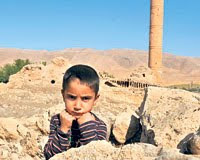 For more on the attack on the child in the southeast, see this post at Kamil Pasha. Relatedly, the Turkey Human Rights Foundation (TIHV) has released a report documenting 12 alleged extra-judicial killings committed between January and March of this year. Bianet provides brief summaries of the cases, as well as three other suspected killings in April. And, in a cry back to times when things were worse, the European Court of Human Rights (ECHR) recently issued a ruling in one of the worst cases of police impunity. The case goes back to 1999 and evidences problems that to some degree continue to this day. "Women who have been exposed to violence for years call for help only as a last resort and ask to stay in women's shelters. Almost all of them come to us with serious fractures and physical and psychological injuries. Their lives were in danger several times". With this explanation, Nebahat Akkoç from Ka-Mer, Zozan Özgökçe from the Van Women's Association and Harika Peker from the SELİS Women's Association reacted to a statement made by Oktay Taş, Provincial Manager of Social Services in Diyarbakır in south-eastern Turkey who said that "women apply for shelter for trivial reasons". Ka-Mer is a Turkish women's group in Diyarbakır that finds shelter for and offers legal aid to women who have been threatened by their relatives. The SELİS Women's Association is active in the region of the Batman Municipality in the country's south-east. Akkoç from Ka-Mer criticized that provinces make the places of shelter homes public. Peker from SELİS drew attention to problems experienced at provincial directorates for social service. Özgökçe from the Van Women's Association underlined the fact that women are not only exposed to physical violence but become victims of economic, sexual and emotional violence as well. "Many women cannot talk about the violence they have experienced when they apply to us at first. The most severe traumata are forgotten and surface again years later". For past posts on domestic violence, which is particularly bothersome in the southeast, click here. I have seen nothing on where the Kurdish BDP stands on implementation problems of new domestic violence measures in affect throughout Turkey. Recently, the party has taken a stand against berdel marriages, a common custom among some of Turkey's Kurds that sometimes involves forced marriage. According to experts, forming support groups and legitimizing comments supporting the attack comes as no surprise; such a situation cannot be explained only by the outburst and madness of a young man. The main reason behind it is deeper, they say, adding that a social trauma has been affecting the country for many years. Individual and Social Mental Health Association Chairman Selçuk Candansayar, a psychiatrist, underlined that over the past few decades -- ever since the first armed PKK attack -- the society has internalized violence as a method of deflecting anger. “Over the last 25 years, whoever was in power legitimized the use of violence as a way of showing anger. During all these years many wrong messages have been given to the society. One of those messages was ‘If you are really angry, you can resort to violence.’ Such a massage also leads to further violence,” Professor Candansayar told Sunday’s Zaman. He added that presenting Çelik’s attack as an individual act will serve the interests of groups that benefit from violence. “Such a situation gives several messages, including that attacks draw attention and that it is legitimate to continue with them, and that it is normal to show one’s reaction through violence. Furthermore, it helps groups that make use of violence recruit new members,” he says. Metin Bakkalcı from the Turkish Human Rights Foundation (TİHV) also points to the 25-year-long trauma resulting from the Kurdish problem, trauma that has turned into a phenomenon that is being transferred from one generation to the next. According to him, calculating only the number of soldiers who served in southeastern and eastern Anatolia is enough to get an idea of the scope of the trauma facing society. “Just think, approximately 200,000 soldiers serve in areas involving armed conflict every year. This means there are at least 3 million people who have been directly affected by the situation. If you consider their families, the number is even bigger,” Bakkalcı said. Bakkalcı has a point. A very rare study conducted in 1995 found that many young men in Turkey who completed tours of duty in the Southeast during their compulsory military service might have been afflicted with the Southeastern Anatolia Syndrome. The report notes that 25 percent of soldiers surveyed who are suspected of having the syndrome suffer from antisocial personality disorder in addition to other problems such as acute depression, schizophrenia, agoraphobia, social phobias, panic disorders and general anxiety. One of the authors, Mehmet Sungur, in a previous interview with Sunday’s Zaman said not much progress has been made on the issue since a report titled “Common Features of [Posttraumatic Stress Disorder] PTSD Cases Amongst a Group of Military Staff Referred from the Southeast Region of Turkey” was first published in the Journal of Cognitive Psychotherapy in 1995. The Southeastern Anatolia Syndrome, like the Vietnam Syndrome, is in fact PTSD and is characterized by the typical psychological symptoms that emerge following a distressing event that is outside the range of usual human experience. Soldiers in southeastern Anatolia frequently encounter life-threatening conditions due to their clashes with the PKK. Sezgin Tanrıkulu, a former chairman of the Diyarbakır Bar Association, pointed out that not only soldiers who served in predominantly Kurdish areas and their families but also many Kurds are victims of various traumas. He said 4,000 villages were evacuated, with those displaced having to cope with difficult living conditions in the cities. There were 17,000 extra-judicial killings whose perpetrators have yet to be found in addition to a couple of thousand people who remain missing. “This trauma is really worrying because it is polarizing the society. This polarization did not materialize overnight but took many years to form. Anger and outrage have turned into violence as a method of expressing one’s self,” Tanrıkulu told Sunday’s Zaman. He says even if a magical solution is found today, it will take many years to overcome the trauma. And in any case, he adds, effective programs to deal with the matter will have to be instituted. Bakkalcı agrees, adding that implementing legal, social and economic measures to solve the Kurdish problem will not be sufficient. “Programs must be put in place to find a real solution to these social problems. And these programs should be developed not only by mental health workers but through a multidisciplinary approach,” Bakkalcı said, adding that the TİHV is working on such projects and will try to address problems faced by soldiers suffering from Southeastern Anatolia Syndrome, relatives of missing persons and families of those killed extra-judicially. Candansayar also thinks society needs programs to overcome these traumas but notes that problems in traumatized societies can only be solved through the common efforts of both the groups that are angry and those that they are angry with. “Leaders should be able to show the society that violence is not the solution because they were the ones who made the public think violence was legitimate in the first place,” he said. No doubt another obstacle to conflict resolution efforts . . . In a case earlier this year, stories about the syndrome appeared in the Turkish press following the murder of a Kurdish man in an Ankara bar. The assailant was a police officer who allegedly suffered from psychological trauma following military service in the southeast. The Council of State rejected an appeal yesterday for the annulment of the Higher Education Board’s (YÖK) recent decision to change a system that uses a lower coefficient to calculate the university admission examination scores of graduates of vocational high schools. The 8th Chamber of the Council of State, which had rejected YÖK’s previous attempts to end the lower coefficient system, this time ruled in favor of the latest change proposed by YÖK, which is supposed to make it difficult, but not impossible, for students to pursue an area of study that differs from their vocational training. The coefficients previously employed were 0.3 and 0.5, putting vocational school graduates at a significant disadvantage when they tried to pursue other fields. YÖK previously attempted to reduce the difference in the university entrance exam score coefficients used for regular and vocational high school graduates. After a series of decisions were blocked by the Council of State, YÖK decided on March 17 that the new coefficients would be 0.12 and 0.15 instead of the previously proposed 0.13 and 0.15. With the court’s decision, new coefficients will apply in this year’s university entrance exam. For more background, see this more in-depth article from Today's Zaman's Sule Kulu. See also Feb. 10 post. Kariane Westrheim, Chairwoman of the EU-Turkey Civic Commission, was detained at the airport on Saturday. A Norwegian, Westrheim is also a professor at the University of Bergen, publishing work on Turkey's Kurds and the PKK terrorist organization. Greece, the country with the highest military expenditure to gross domestic product (GDP) ratio in Europe, has in a sense become a victim of its arms race with Turkey. In 2000 Turkey devoted $16.4 billion to its military spending, while that figure was $8.7 billion for Greece in the same year. In 2003 Turkey's military spending stood at $13.4 billion, compared to $8.5 million in Greece. Per capita defense spending in Turkey was around $164 on average in the 2000s, while this number never went below $709 in Greece. Turkey's military spending gradually declined and fell to $11.6 billion in 2008, while Greece's military expenditures consistently increased, reaching $9.7 billion in the same year. Speaking about Greece's military spending and its connection to the financial crisis, International Crisis Group (ICG) Turkey analyst Hugh Pope said reports of large German sales of armaments to both Turkey and Greece illustrate a phenomenon -- which he says is most likely just coincidental -- that the German policy of excluding Turkey from the EU has contributed to tensions between Turkey and Greece, from which the German arms industry has then profited. “Although the January trip to Turkey by German Foreign Minister Guido Westerwelle has done much to improve the climate, past statements by German politicians have left the impression that Germany opposes Turkey's EU membership, which frustrates Turkey and feeds tensions between Turkey and Greece,” Pope stressed. An additional paradox is that Germany is also doing its best to help Greece emerge from the financial crisis as its partner in the EU, while one of the contributing reasons for that crisis is the fact that Greece's per capita military spending is higher than the average of NATO member countries. According to Pope, fear of Turkey is one of the main reasons why Greece spends large amounts on its military. According to the Deutschlandfunk radio station, Greece buys 31 percent of its arms from Germany. This is a high figure considering that Greece ranks fifth among arms buyers in the world. For the second time in his presidency, President Obama avoided using the word "genocide" in his Aprl 24 commemoration of the massacres and mass deportations of over one million Armenians living in Ottoman Anatolia in 1915. While some might take this as a victory for Turkey, such a reading is sadly mis-informed. The real victory for Turkey is that a debate is occurring in this country, the proportions of which are not appreciated to the degree that they should be in Western countries passing these resolutions. While Obama eschewed the word "genocide" yesterday, a group of Turks went to Taksim Square to commemorate the massacres, marking the day with memorials to victims and messages of reconciliation, both with the past and with Armenians in the present. The message of the protest: "This is our pain. This is a miurning for all of us." Additionally, a group of Turkish intellectuals issued a statement reiterating their regret of the massacres, recognizing the pain of their Armenian brothers and sisters, and calling for solidarity between Turks and Armenians. Two years ago, the same group had organized a petition since circulated around Turkey apologizing for what Armenians themselves call "The Great Catastrophe," and though the petition did not mark the events with the legal label"genocide" (its signatories were largely not qualified in the fields of law and history to do so -- nor, importantly, are the politicians and lobbyists who work on this issue), the move was a risky one that was open to all of Turkish society -- an important fact, regardless of the number who signed. Additionally, hundreds of Turks continue to take great risks despite continued restrictions on the freedom of expression in order to write articles and discuss the massacres, opening up the debate and pushing it forward despite tremendous threats to themselves and their families (see Dec. 8, 2008 post). Let us also not forget the huge masses of people that came out onto the streets to honor Hrant Dink, carry signs blazoned with the memorable and still repeated phrase, "are are all Armenian." As the coverup of Dink's assassination continues, a large number of these supporters continue to protest the government's lacking investigation into Dink's murder, marking Jan. 19, the date of Dink's assassination, with as much importance in Turkey as April 24 (for this year's protests, see Jan. 23 post). Talking about the grave sins of one's past is always the most difficult thing for people to do, and this is exactly what is happening in Turkey. Those who lobby on the Armenian question, whether Turks or Armenians, are but mere tools in the game. The real heroes, the true free-thinkers, are those on the Turkish and Armenian sides that have taken steps to question their own history, build cross-border contacts and connections, and step outside of themselves and the nationalist understandings of history they received as children to move their respective societies forward. While the politics of Washington is focused on which congressman supports what for whatever particular reason (almost all strategic, whether in terms of getting the vote of the Armenian diaspora or protecting/advancing bilateral ties with Turkey), the debate in Turkey is something more soulful, more inspiring, and without a doubt, important to watch and encourage. Protocols or no protocols, resolutions or no resolutions, I am confident this debate in Turkey will continue and advance over the coming years. As Turkey proceeds along the path of democratization, it has become common to debate Turkey’s past, including the Armenian question. An authoritarian regime with a monopoly on the interpretation of history and with its control of civil society does not allow free research and free debate. The past is presented in a way to legitimize the position of the established regime. This is fortunately changing. The democratization of Turkish politics and the liberation and diversification of civil society is allowing the emergence of plural ideas on the past including the Armenian massacre. This process will certainly continue. But the critical point is that if debating 1915 is reduced to naming the events genocide, it may block the whole process. Such a strategy provokes Turkish nationalism, preventing the Turkish masses from being attentive to the thesis that contravenes the dominant view in the country. Thus to unlock the hearts and minds of the Turks at large necessitates abandoning the attitude of categorical accusation against the Turks over the 1915 events. Of course the belief of Armenians should be respected, but they should also understand that the genocide claims make the reconciliation efforts between the Turks and Armenians almost impossible to attain. We can get out of the imprisonment of the past atrocities not by labeling but disclosing it. Calling it a genocide is the shortest way to close the debate. I think both societies should learn more about the time when disasters hit both the Armenians in Anatolia and the Turks in Anatolia and the Balkans. Thus the first thing to do is to let the sides share their stories without a language of accusation, to create empathy, understanding. This is possible. The conference, organized by the Ankara Freedom of Thought Initiative, was held under tight security measures. The hall where the conference was held was thoroughly searched in the mornings by policemen and security dogs, metal detectors were installed at the entrance of the hotel, and all members of the audience had to be cleared by the organizers before entering. Unlike the commemoration events in Istanbul, however, no counter-demonstrations were allowed to materialize. The conference attracted around 200 attendees, mostly activists and intellectuals who support genocide recognition. Among the prominent names from Turkey at the conference were Ismail Besikci, Baskin Oran, Sevan Nishanian, Ragip Zarakolu, Temel Demirer and Sait Cetinoglu. Besikci is the first in Turkey to write books about the Kurds “at a time when others did not even dare to use the ‘K’ word,” as one Turkish scholar put it. 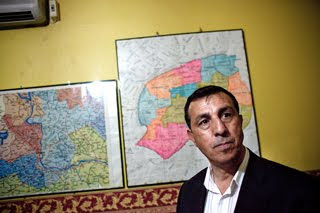 Besikci has spend years in Turkish prison for his writings. Oran is a professor of political science. He was one of the initiators of the apology campaign launched by Turkish intellectuals. Nishanian is a Turkish Armenian scholar who has authored several books and also writes for Agos. Zarakolu is a publisher who has been at the forefront of the struggle for Armenian Genocide recognition in Turkey with the books he has published over the years. Demirer is an author who has been prosecuted for his daring writings and speeches. Cetinoglu is a scholar and activist and one of the key organizers of the conference. was the first time that a conference on the Armenian Genocide that did not host any genocide deniers was held in Ankara. Moreover, the conference did not simply deal with the historical aspect of 1915. For the first time in Turkey, a substantial part of the proceedings of a conference was dedicated to topics such as confiscated Armenian property, reparations, and the challenges of moving forward and confronting the past in Turkey. An upcoming meeting between Prime Minister Erdogan and Chief of General Staff Ilker Basbug could produce new measures that would allow more Turkish men to pay to significantly reduce their military service. At the moment, college graduates are required to serve six months in the armed forces while other men are required to serve 18 months. Turkish citizens who have worked outside the country for at least three years can do complete their military servide with only 21 days of basic training. To read more on past provisions that have allowed some Turkish men to shorten their military service, as well as some insight into the debate, see this story from Hurriyet Daily News' Isil Egrikavuk. Such measures have been implemented throughout the Turkish Republic, including after the 1999 Iamit earhtquake as a means of raising state revenue. However, the Turkish Armed Forces (TSK) has argued that allowing some to shorten their term is implausible given a purported 2/3 shortage of men currently in service and the political/morale problems that could result given the TSK's operations against the PKK. No deal was reached on the issue, as the written statement released after the meeting said the circumstances were not suitable for shortened military service by payment. At the same time, however, they did agree that the period of military service could be shortened in general. Başbuğ and Erdoğan discussed new structural changes to fix the duration of military service to a period of 12 months and professionalize the forces to make the fight against terrorism more effective, according to Sunday media reports. Professionalizing the military has been a Turkish Armed Forces, or TSK, objective since 2007. There are three different types of military service under the current system; non-university graduates over the age of 20 complete 15 months of service as ordinary soldiers while university graduates join the forces for 12 months as higher-ranking reserve officers or six months as ordinary soldiers. The planned amendments anticipate 12 months of military service for all male citizens. UPDATE II (5/1) -- A recent survey of college students conducted by MetroPOLL found that "45 percent of university students said they did not want to see a change in compulsory military service, while 40.4 percent expressed a desire for the establishment of a professional army, which would allow them to avoid service in the military. Also of interest are Hurriyet Daily News columnist Joost Lagendijk's comments from his column of a few days ago. Gülten Kışanak, the co-chairperson of the BDP, claimed while addressing her parliamentary group on Tuesday that with the constitutional reform package the public is being forced to either defend the status quo or to accept the amendments that do not respond to the democratic needs of the public. She also claimed that their constituents agree with them. “There are efforts to mislead the public. There are claims that the voter base of the BDP is saying ‘yes’ to the constitutional amendments. These claims are trying to cheat our people, but our constituents are very well aware of what they need,” she said. On the other hand, observers argue that the electorate in pro-Kurdish areas will have a tendency to say “yes” to the constitutional amendments when asked in a referendum. However, experts have underlined that if there is a call for a boycott from the terrorist Kurdistan Workers’ Party (PKK), then the grass roots might obey. At the beginning, the BDP gave conditional support to the constitutional amendments but then changed its position, especially after Abdullah Öcalan, the leader of the PKK, who is serving a life sentence on İmralı Island in the Marmara Sea, told his lawyers several times that the constitutional reform package is full of inconsistencies. He also urged the BDP to form a strong front against the constitutional amendments if the conditions raised by the BDP were not met. In the same speech, Kışanak mentioned the children in conflict with the law who are facing long prison sentences and the more than 1,000 BDP members, including some mayors, who are currently under arrest. She said the government claims to be making these constitutional amendments for the sake of democracy but that it is impossible to believe in the sincerity of the government while these groups are still under arrest. Kışanak also said that the judiciary is under the control of the deep state now but that after the constitutional amendments are passed, it will be under the control of the government. “The constitutional reform package is forcing the public to choose either the military coup constitution or the constitution of the AK Party, which is not doing anything for the various groups in society and the working class. We are not obliged to accept this. We will follow a third path,” she said. Bengi Yıldız, the parliamentary group chairman of the BDP, explained their reasoning and said the package disregarded the demands of the working class and that this was why they would not be a party to it. “We will show the color of our vote by boycotting it. We will not say ‘no,’ but neither will we say ‘yes.’ We will follow a third path,” he said. He added that from the beginning their door had been open to the government to discuss their suggestions, but their views had not been taken into consideration in Parliament’s Constitution Commission. “The package submitted to Parliament is the package of the [ruling Justice and Development Party] AK Party. We will not be dragged behind any party,” he said. At the beginning of the constitutional reform package discussions, the BDP declared that they were not against it but that some steps towards democratization needed to be taken first. Polls have showed that the constitutional amendments are favored by over 60 percent of the population in the southeast, though public relations efforts by the BDP and organizations close to it may change those numbers in coming weeks should the party not come to a compromise with the government. There is also a diversity of opinion on the issue within the BDP, including former DTP leader Ahmet Turk. UPDATE I (4/23) -- The amendment pertaining to the closure of political parties cleared parliament with 337 votes after gaining support from five members of the BDP (Perivan Buldan, Sebahat Tuncel, Ayla Akat Ata, Hamit Geylani, and Bengi Yıldız). The BDP deputies said the AKP had called them to vote, and said they would be willing to render their assistance again if a similar gesture was made. UPDATE II (4/23) -- Referencing Ahmet Turk, Today's Zaman columnist Yavuz Baydar criticizes the BDP's boycott of the vote on the amendment package. Given his decades of experience and knowledge on Kurdish voters’ behavior, he may be right. Surveys show an even higher rate of support (over 60-65 percent) for the package among Kurds than the general population. Acting on devotion to the jailed leader of the Kurdistan Workers’ Party (PKK) rather than paying attention to the people in the street may not only be a strike against the party in the eyes of the latter but could also lead to a serious defeat in the next elections. Why does the party have this confrontational and seemingly irrational attitude? One explanation is to be sought in the contact between the Justice and Development Party (AKP) and the BDP before the package was taken into Parliament. The BDP leadership first demanded a brand new constitution and then switched to a set of conditions, such as lowering the election threshold from 10 percent, changes to the Counterterrorism Law and a release of the detained local Kurdish politicians in the “KCK [Kurdistan Communities Union] operations.” It has received no positive response from the AKP. The main reason for the cold hand is tactical. The AKP leadership feels the heat of the anger that the “Kurdish initiative” has caused at the grassroots and party-base level and does not want to be seen in any sort of coordinated cooperation with BDP deputies in Parliament, despite the fact that at least some of their votes might be helpful. It would give an upper hand to the nationalists, it has argued. Instead, the AKP placed its trust on some “independents,” which turns the voting process into a razor’s edge. Having understood the underlying reasons of AKP thinking, BDP deputies also play to their own “audience” by bringing up issues unrelated with the content of the package with an explosive rhetoric. This may be understood as part of Realpolitik and populism, but how it is perceived by a common Kurd is another matter. This is a source of justified concern for elderly politicians such as Türk. Were it up to him or his imaginary leadership, it would not be difficult to expect the BDP’s presence in the sessions and at least partial support for the package, enough to show the traditional voter of the party what the BDP stands for. In Türk’s mind, the BDP may not have won much on its conditions and demands as outlined above, but it would lose nothing if it “silently” supported the articles of the reform. Öcalan, in recent meetings with his lawyers, suggested that the BDP reconsider its position and give its conditional support to the reform package. Meanwhile there are ongoing negotiations between the government and the BDP on the issue. As a result of these negotiations, five BDP deputies voted for an article of the package regarding the closure of political parties. For the other articles of the package, the BDP is joining in the discussions in Parliament but boycotting the voting. “It might take time to lower the election threshold but some changes in the TCK and anti-terror laws to bring the release of children and mayors who are under arrest can be easily done,” he said. Security forces last year, in an operation allegedly against the urban branches of the PKK, arrested around 1,000 people, including several BDP mayors and pro-Kurdish politicians. There are many ongoing court cases involving children in southeastern and eastern Anatolia who participated in demonstrations and are facing trials as adults due to the TCK and the anti-terror law. Birdal recalled that one of the most controversial articles of the reform package, regulating the structure of the Constitutional Court, passed with 331 votes, just one vote clear of the 330 required to pass. “If the government really wants to finish the job it started, it should listen to us and should not see our demands as ‘concessions’ but as necessary steps for democratization,” he told Today’s Zaman. Turkey urged Iran on Tuesday to take steps to defuse international concerns over its nuclear program, emphasizing its willingness to mediate between Tehran and world powers. Iran needs to show goodwill and commitment to the international community to reduce concerns over its nuclear program, Foreign Minister Ahmet Davutoğlu said in Tehran on Tuesday, adding that he had made some concrete proposals to the Iranians. “We are continuing to work to stop unwanted developments that could hurt Iran, Turkey and our entire region. We are discussing new alternatives. 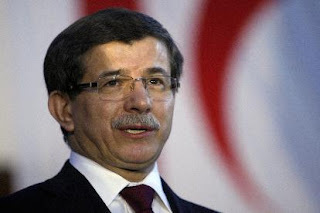 We should work on reaching them together,” Davutoğlu told reporters at a joint press conference with his Iranian counterpart, Manouchehr Mottaki. Davutoğlu arrived in Tehran late Monday and conducted high-level talks with Iranian officials Tuesday. He met with President Mahmoud Ahmadinejad, Parliament Speaker Ali Larijani and Secretary-General Said Jalili of the National Security Council before departing for Serbia in the late afternoon. “There are some new concrete proposals made by us. We have conveyed our thoughts to the Iranians and I can tell you that I observed a very good atmosphere and response here,” said Davutoğlu in Tehran. The foreign minister said he would engage more and discuss Iranian responses with Western nations. The Tehran conference Davutoglu attended is largely viewed as an attempt to counter the summit the Obama Administration organized in Washington two weeks ago. Turkey attended both summits, and again, the question is as it has been before: Does Turkey have the diplomatic clout to pull off a deal and appease both the West and Iran, and if it does not, what will failure do to its "zero problems" with neighbors policy? Turkey is in deep diplomatic waters here, risking much at a time when tensions continue to rise regardless. The trouble with reality is that sometimes it requires hard choices, and Turkey's policy toward Iran at the moment is seen by many as a test of just where the country will go in the future. I think this is more than a bit of an overstatement, but there are plenty of fixed eyes on Ankara waiting to see if Turkey can prove itself a bridge here. For a skeptical response by U.S. State Department spokesman Philip Crowley, click here. For recent commentary on Turkey's posturing, including Turkey's position on Israel and and its nuclear program, see Yigal Schleifer's post from a few days ago.